Grace Woodward is one woman in fashion that you just cannot ignore. She describes her personal style as being “halfway between good and bad taste” but despite this she always manages to look stunning in whatever she wears. Her mentality that fashion should be fun and a way to express your personality resonates across the country, inspiring many people to be more daring with the way they dress. As a child she experimented with dressing up, raiding any available wardrobe for unique sartorial finds. From then onwards, Grace knew she wanted to work in fashion and it became a process of elimination to find the right profession. At the beginning of Grace’s career, stylists were still unknown and the job was steeped in mystery. It is only recently that the fashion world has opened up and become more accessible. Grace is probably most famous for being a judge on the hit TV show “Britain’s Next Top Model” but her talent does not just stop there. Not only is she a fantastic model scout, her main passion is styling and has worked on shows such as the X Factor and for magazines like Elle, Harpers Bazaar and Nylon. In 2009, she was awarded Stylist of the Year by the British Fashion Council and The Clothes Show, which has sparked a forever growing relationship with the show. 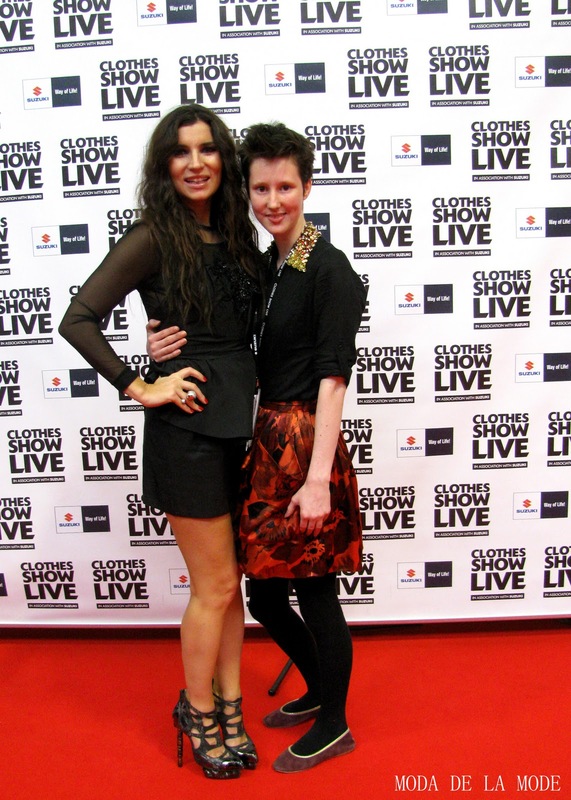 I was lucky enough to go backstage at the Clothes show to interview Grace about the show but most importantly about the work she does in the industry. Her warm, caring personality and the enthusiasm she has for her job immediately puts you at ease and allows you, for a brief moment in time, a glimpse inside her world…The world of Grace Woodward. Being awarded the ‘Stylist of the Year’ award back in 2009 must make you feel connected with the show in some way. Why is the show so special to you? The clothes show is legendary. I remember when I was little and Caryn Franklin was presenting the show, I used to be mesmerised by it all. It just seemed so exciting and it was so far away from where I was at the time. It was the only television show that related to the fashion world and it just inspired me. My mind is my biggest inspiration. One person alone does not inspire me but instead what I see on a daily basis, the people I meet all inspire me in some way. I am like a sponge, taking everything in and forming layers of it in my mind, ready to draw from when I need to. What has been the highlight of your career so far and what has been the biggest challenge? The highlight of my career definitely has to be styling for Fever Ray. I have been a huge fan of ‘The Knife’ and when Karin Dreijer went solo, I was so excited to style for her show. She is so creative and out there with her clothes so styling her was great fun. The biggest challenge of my career has to be styling for the X Factor. Lots! I want to write my own book all about being a stylist, create my own fashion line and have my own make over show. I have always dreamed of being a chat show host. What advice would you give to an aspiring stylist? Be aware of everything that is going on around you, in the world and in the industry. It is a small industry so you need to have a polite and professional approach to everyone you work with, as you never know when you may work with a certain person again. It is not a glamorous job so you need to be prepared to have a thick skin and be poor for a long time. Like in any job, if you are determined and truly love what you do, you will be successful.